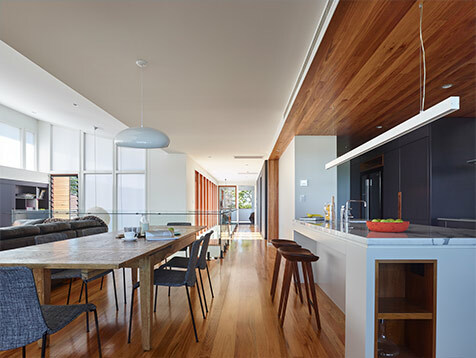 Breezway Altair Louvre Windows were carefully chosen to be incorporated into the design of this award winning Nundah House for their nostalgic and vernacular ties to the ‘Queenslander’ housing typology, which the Nundah House typifies in a contemporary way. kahrtel is a design collective working with professionals, creatives and consultants that share a common passion for design excellence and innovation. kahrtel pride themselves on delivering projects that challenge the norm and push the boundaries of expectation. Design Director, Joel Alcorn, has adopted ‘design rebellion’ as the company’s philosophy and applies the mantra that no matter the project, there is always an opportunity to explore exciting new and different opportunities. 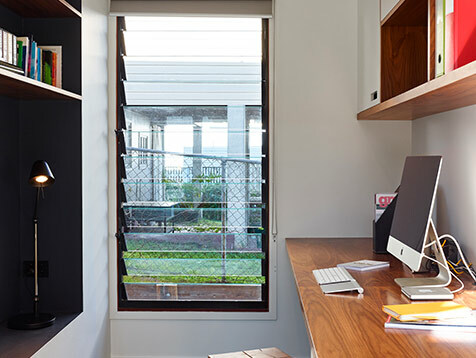 Breezway Altair Louvre Windows were carefully chosen to be incorporated into the design of this award winning Nundah House for their nostalgic and vernacular ties to the ‘Queenslander’ housing typology, which the Nundah House typifies in a contemporary way. 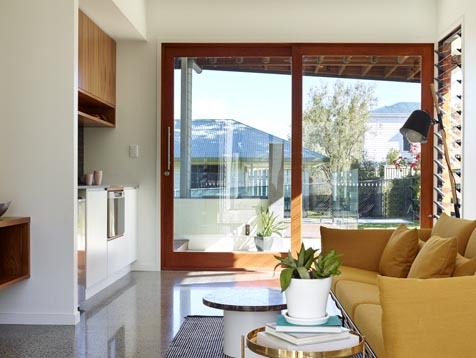 Increasingly now, louvres are being applied through the design of many homes in South East Queensland, allowing for enhanced natural air flow through a full height operable opening and providing a greater connection to the outside. 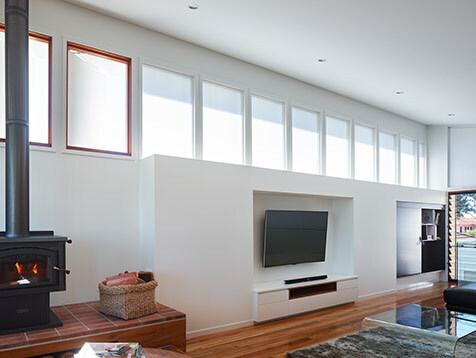 Therefore unsurprisingly the placement of the Altair Louvre Windows in the Nundah House provides an unsurpassed quality of natural light and ventilation connecting the lower and upper floors by an internal void.